I can't use the touch screen of my Surface Pro to zoom in or out anymore with 14.0, pretty sure that was possible before. The previous versions of BikeCAD don't run either so I can't test it. Thanks for letting me know. I will have to do more testing with touch screens. I did not intentionally implement any changes in 14.0 that would have limited your ability to zoom. Since version 8.0 the main way to zoom in BikeCAD has been to use the scroll wheel on your mouse. As discussed here, there is a slider you can add to the interface if you do not have a mouse. However, new to version 14.0 is a third option for zooming. The icon shown below presents a new tool for zooming in and out and panning the model. 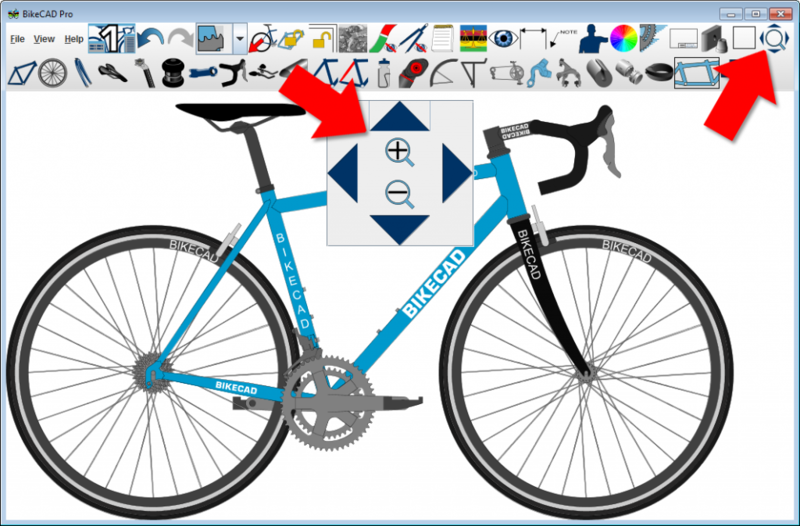 It was created for people running the free version of BikeCAD on tablets and phones, but could be of use to anyone particularly those without a mouse.